Over the years, car audio system has evolved from the simple, single-speaker AM radio receiver to the complex electronic systems that we have today. Which can play music from a wide array of audio sources, including radio, CD, flash disks, SD cards, iPod, Bluetooth audio, as wells as hard-disk drives. Well, having the perfect car audio sound is essential, especially if you have deep interest in music, constantly on the road trip and want your travels to be pleasant. Today we are going to share about the tips on how to ensure that we have a perfect car audio system so that we have an enjoyable journey. 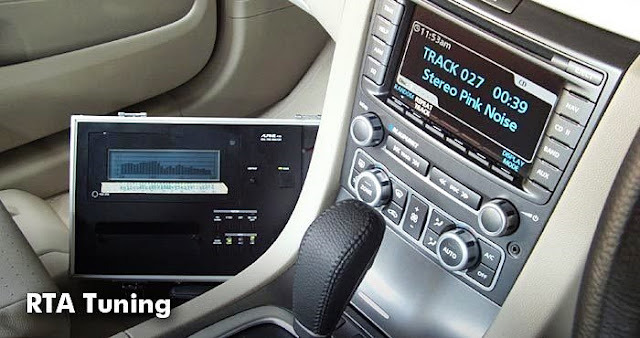 Here are a few tips to help you find the best car audio before you think of engaging a professional car audio installation service to have it installed. First and foremost, you need to decide on what kind of system you want and how much you want to spend for your car audio system. Whether it is a system that can reproduce your music to sound like you are at a live concert, a system that can just blast out some bass or a system that can deliver both, you must have a clearly defined goal in mind. With a clear goal, you will save yourself from wasting money on unnecessary components or wasting your time on designs and installations that do not match you overall objectives. Next, you need to do an in-depth research about which components fit your car and best deliver what you want your audio system to do. Also check out the cost of the components, as well as where you can find them. Since information is power, the information you have will influence your choice and decision on audio equipment and system design. Remember to do your research, price comparison and check out reviews too. A car sound system should be a very personal thing, for your ears only. Even though others may advise you on which components to purchase, how you should install them and how you should tune the system, however you should be the final authority on the matter. After all, you are the one spending the cash on a car audio system. So it's your car and they’re your ears – they will tell you the perfect sound. Be realistic and prudent when you make decision. Is it worth to install an audio system that is two times the value of your car? Do you really want to tear out your car’s back seat to fix subwoofers? Is it a good idea to fill up the car’s trunk with speakers so that you don’t even have a space to carry a small bag of shopping? You can be easily carried away when planning for, buying, and installing an audio system. Ensure that you remain level-headed when putting together your car audio system, keeping in mind how you use the car, how much you have budgeted, how long you intend to keep the car, among other related considerations. Don’t rely on too many people in making your choices, lest you end up making poor choices that you’ll regret later. Getting the perfect sound for your car may not be easy hopefully with these few tips will help you to it right. Also, note that car audio system installation is a fairly specialized task, calling for at least some basic knowledge about car designs and electronics. The end result will largely depend on good installation. You could purchase the best components but if it is not installed the right way, the result will be disappointing too. This is why you should take advantage of professional car audio installation service besides buying car audio system from an experienced and reputable dealer like Auto Acoustics. I always impress with how the car audio system has evolved from time to time. thanks for the tips dear. I need a better car audio system for my car... Current one is super lousy..
i don't mind a new car audio system too! hehehe.. yay for sweet boom boom music. Cool! I want to choose the best one for my car!